Did you know that there are different types of braces brackets to choose from? Orthodontics has come a long way and there are several braces to choose from, depending on the level of treatment, convenience, and aesthetic you prefer. We are here to help you know more. Check out your most common options. This is the type of braces we know about. These metal braces are made of stainless steel and are hygienic. 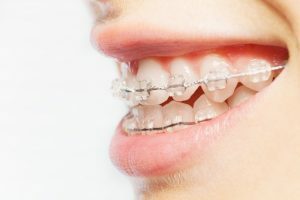 Metal brackets are attached to the teeth and a metal wire connects these brackets, which corrects teeth alignment over time. This is the most affordable option and there are colored bands to choose from every time you visit your orthodontist for an adjustment. Ceramic braces are similar to your traditional metal braces except for the material used. Instead of metal brackets, the brackets are made from clear ceramic, which allows it to camouflage to your teeth. This is the less obvious option, making it a popular pick for adults who do not want to make it noticeable that they are wearing braces. Make sure to visit your orthodontist right on schedule and give the right care to your ceramic braces to retain its transparency. Also known as clear aligners. These “braces” or aligners are made of plastic and are almost invisible. Think of mouth-guards, as these are also removable and can be changed for a new aligner every 2 weeks. Every time the alignment of your teeth improves, a new aligner will be given to you to adjust your teeth to perfection. Since it is removable, you can easily eat and drink whatever you would like to. Lingual braces are the same as your traditional metal braces, but the brackets and wire are attached on the inside part of the teeth, so it is not visible on the outside. Schedule an appointment today and know more about the braces best suited for your needs. Congratulations for taking the step to look up the different types of braces brackets, you are now on your way to the beautiful smile you want to achieve. 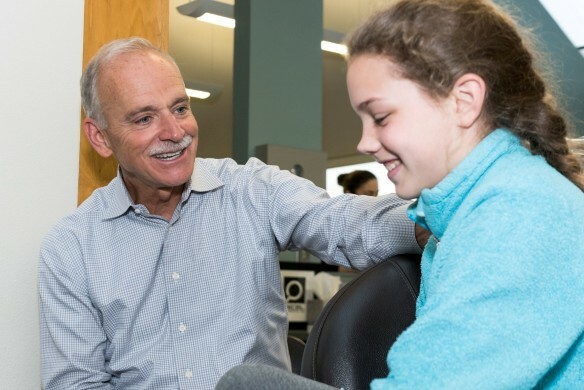 Orthodontist or Dentist: Which Is Your Best Option?